YWCA Dayton recognized Eaton Police Division for their support of the organization by delivering doughnuts on Wednesday, Jan. 9. 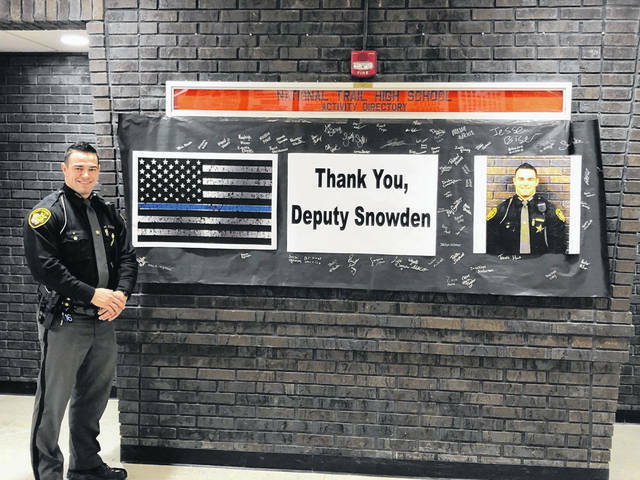 National Law Enforcement Appreciation Day was held on Wednesday, Jan. 9 and organizations throughout Preble County took the time to say “thank you” to the officers who protect them. New Paris Police Department and the Preble County Sheriff’s Department were recognized by National Trail Local School District. PREBLE COUNTY — National Law Enforcement Appreciation Day was recognized on Wednesday, Jan. 9, and organizations throughout Preble County took the time to say ‘thank’ you to the officers who protect them. New Paris Police Department and the Preble County Sheriff’s Department were recognized by National Trail Local School District. The event was organized by Sindi Hoke and an invitation was sent to each of the departments. Food Service Supervisor Dorothy Frist prepared a continental breakfast for those able to attend. “The reason for the event was to allow the staff, students and administration at National Trail to show our Local Law Enforcement that respond to National Trail how much we understand their difficult work and appreciate their sacrifice and risk,” Superintendent Bob Fischer said. 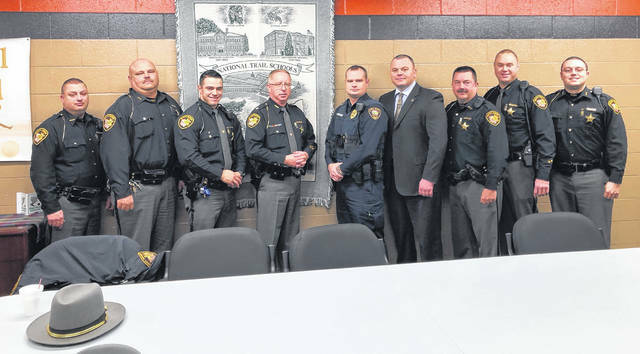 “We are fortunate to have a wonderful relationship with the New Paris Police and Preble County Sheriff’s department and wanted them to know how much we appreciate the protection they offer our school and community. Based on our location, we have needed to rely on the protection and dedication of these men and women over the years and believe they are a vital part of our schools success. YWCA Dayton recognized Eaton Police Division for its support of the organization by delivering doughnuts on Wednesday, Jan. 9. According to Preble County Manager Courtney Griffith, EPD has been a strong partner with YWCA since they started providing services in 2004. “It is important for us to recognize them because they are an incredible asset to our agency, our clients and our community and we wanted to say thank you by recognizing them and giving them a treat. We appreciate their unwavering commitment in ensuring safety for our clients and staff daily,” Griffith said. Eaton Police Department staff was very appreciative of the gesture. “We have a great working relationship with the YWCA and for them to go out of their way and express their gratitude was heartfelt and extremely appreciated. As any profession it is always appreciated to be thanked for what you do,” Chief Steve Hurd said. 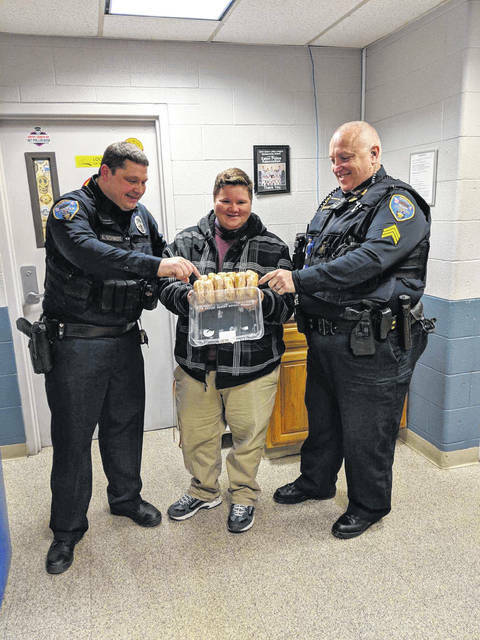 https://www.registerherald.com/wp-content/uploads/sites/41/2019/01/web1_image3.jpegYWCA Dayton recognized Eaton Police Division for their support of the organization by delivering doughnuts on Wednesday, Jan. 9.
https://www.registerherald.com/wp-content/uploads/sites/41/2019/01/web1_49648172_2038602262871727_4752815637296840704_o.jpgNational Law Enforcement Appreciation Day was held on Wednesday, Jan. 9 and organizations throughout Preble County took the time to say “thank you” to the officers who protect them. 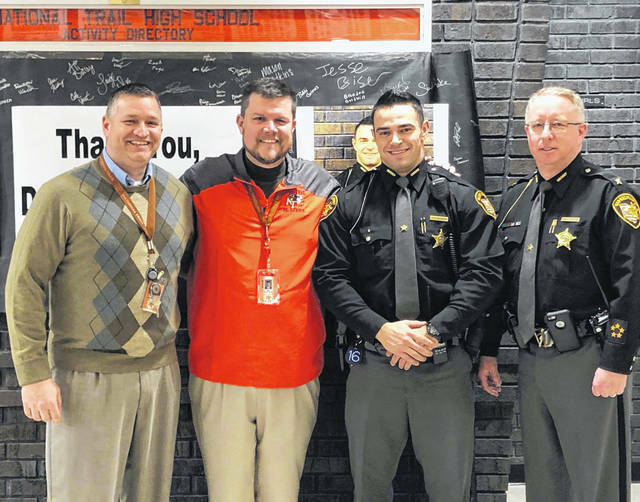 New Paris Police Department and the Preble County Sheriff’s Department were recognized by National Trail Local School District.